Dropbox is handing out yet another early peek at a fresh new tool for the early-adopting enthusiast crowd. The cloud-based storage service is introducing a feature that’ll allow all your photo / video captured memories to be instantly transferred as soon as you plug in a device that houses your media, and you can have a raw look at the “experimental build” now. Before you do, though, Dropbox is warning you to take the dive at your own risk. There’s no word on when the tool will hit the masses, but if you’re willing to get past the notice, the source link will fill you in on all the necessary deets. Dropbox ‘experimenting’ with photo and video import, enables instant transfer to the cloud originally appeared on Engadget on Tue, 27 Dec 2011 17:19:00 EDT. Please see our terms for use of feeds. Hundreds of smartphones of all shapes, sizes and colors pass through the doors of Engadget HQ every year, so it’s natural for a few oddball devices with crazy form factors to end up in our hands from time to time. The Motorola Flipout, LG DoublePlay, Kyocera Echo and Samsung DoubleTime are all instances of carriers trying something new, seeing what sticks. Of course, pushing out a phone with an unproven form factor is a huge gamble for a mobile provider, and as a result they only ship to stores in low volume and rarely receive any kind of marketing campaign at its launch. Indeed, the vast majority of these types of phones are low-end devices aimed at young adults and first-time smartphone buyers, but we still find it adventurous to take a break from the monotony of black slabs and try out something completely different. The Pantech Pocket is definitely unique — not because it flips or slides a weird way or because it has two and a half screens, but because its 4-inch display, whose 4:3 aspect ratio promises 20 percent more horizontal real estate. Did AT&T’s gamble on the display pay off? Is it worth the $50 that AT&T demands with a two-year commitment attached? Time to find out below. 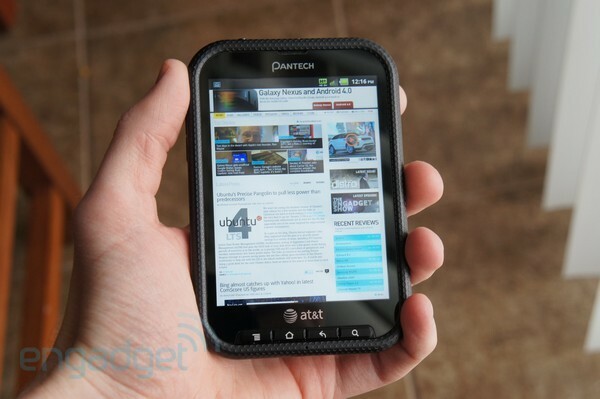 Pantech Pocket review originally appeared on Engadget on Tue, 27 Dec 2011 16:35:00 EDT. Please see our terms for use of feeds. 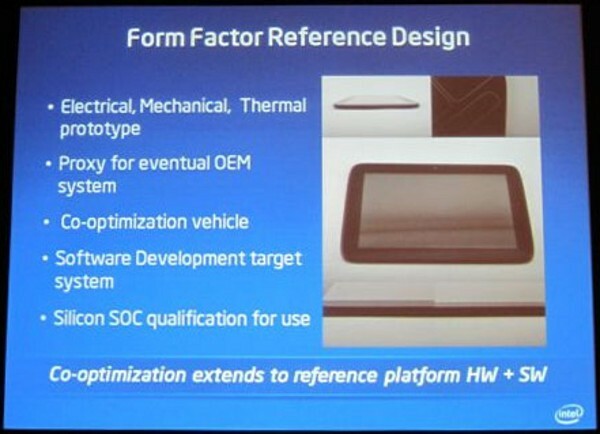 Intel’s Medfield may still be a ways from breaking into the smartphone and tablet market, but we’re finally starting to get some concrete details on its specs and capabilities. VR-Zone got the bitty gritty on Chipzilla’s first true SoC and it looks almost ready to run with the big dogs. A reference tablet, running at 1.6GHz with 1GB of RAM (which also packs Bluetooth, WiFi and FM radio) was put through some Android benchmarks and held it’s own against a Tegra 2 and a Snapdragon MSM8260 — which pulled a 7,500 and 8,000 in Caffeinemark 3, respectively. The admittedly higher clocked Atom scored an impressive 10,500, though, power consumption on the pre-production chips was a bit higher than anticipated. At idle the fledgling Medfield was sucking down 2.6W and spiking to 3.6W under load. Ultimately Intel hopes to cut those numbers to 2W at idle and 2.6W while pushing out HD video — not far off from current-gen ARM SoC. Lets not forget though, benchmarks only tell part of the story — we’ll be waiting to see working hardware before declaring a victor. This entry was posted on December 27, 2011, 5:30 pm and is filed under Mobility. You can follow any responses to this entry through RSS 2.0. Both comments and pings are currently closed.